Britain’s new car market grew by 8.4 per cent in February, according to the Society of Motor Manufacturers and Traders (SMMT), its highest level for the month since 2004. The UK registered almost 84,000 new cars in February 2016, with consumer demand driven record low borrowing costs as the UK base rate ramins at 0.5 per cent. There has also been an increase in completive PCP finance deals. Both diesel and petrol sales were up 5.6 and 10.7 per cent respectively, while alternatively-fuelled vehicles enjoyed an uplift of almost 20 per cent. “February is typically one of the quietest months of the year, ahead of March’s plate change, but this positive performance is encouraging and puts the sector in a good position for the coming 12 months,” said Mike Hawes, chief executive of the SMMT. 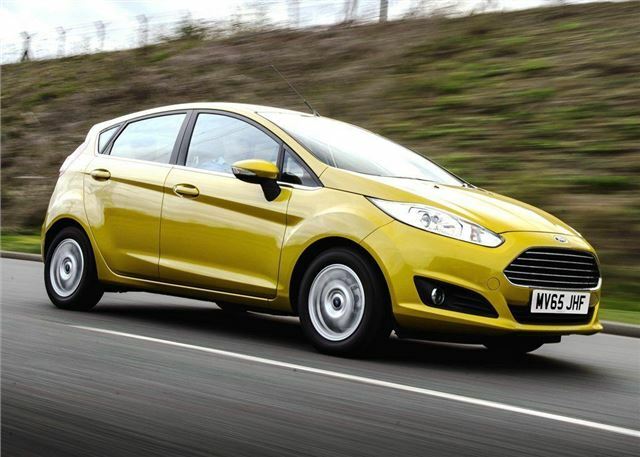 The Ford Fiesta has topped the UK's sales charts for the past three years and its popularity shows no signs of slowing. Since its launch in 1976, Ford has sold most than four million Fiestas and the current mk7 is the best model to ever carry the name, with outstanding handling and fuel economy.